Floor loading from 35kn/sq m.
Drive in and / or dock level loading. Large secure external servicing and car parking areas. New units to be built to a high standard to suit occupiers specific requirements. 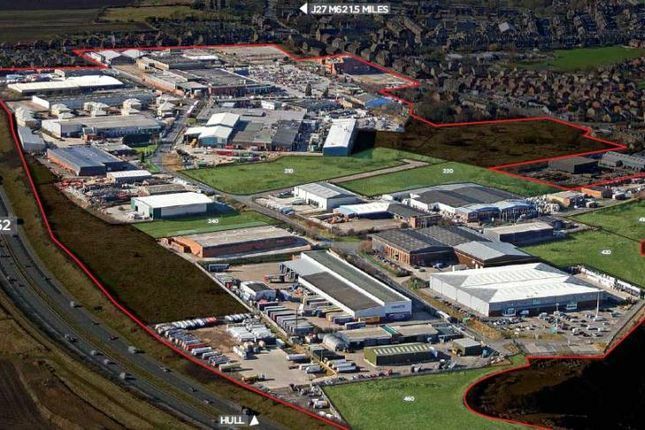 Howley Park Estate is strategically located adjacent to the M62 trans-pennine motorway, 1 mile from Junction 28 and 1.5 miles from Junction 27. The estate is within 5 miles of Leeds city centre and 1 mile of Morley town centre. It is convenient for the recruitment of staff form the local population and benefits from good local bus routes and easy access by car. Available on a leasehold basis.